As a preteen and teenager, I was really interested in makeup. Although I liked light, natural looking makeup, I remember experimenting with different colors and brands in front of the mirror. We always had a friend or neighbor who sold Avon, so the little catalogs and samples were fun. I had not thought of these little Avon lipstick samples in years until I saw this photo ... and it brought back a lot of memories. I loved these tiny lipsticks. They were little and cute, and you could pick from a number of different colors! Just seeing this pic takes me back to my early teen years. 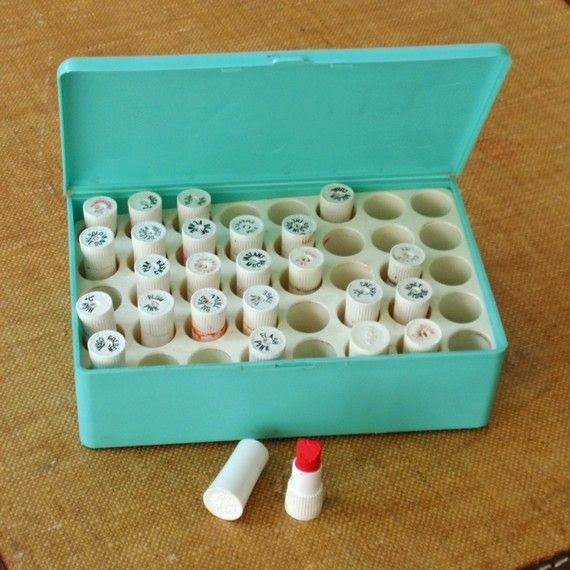 Do you remember these little lipstick sample cases? I'd love to hear from you in the comments, below.